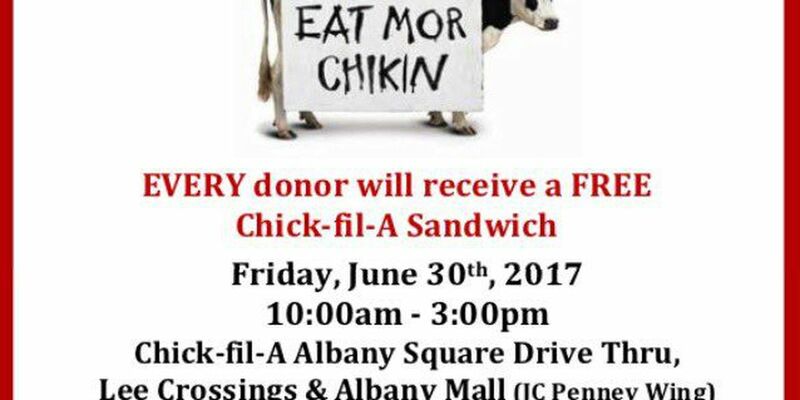 ALBANY, GA (WALB) - Chick-fil-A is hosting a blood drive on Friday. And they're giving away chicken sandwiches to donors. It's from 10 a.m. to 3 p.m. at the Chick-fil-A Albany Square Drive Thru, Lee Crossings and at the Albany Mall. You can save time by filling out paperwork ahead of time.